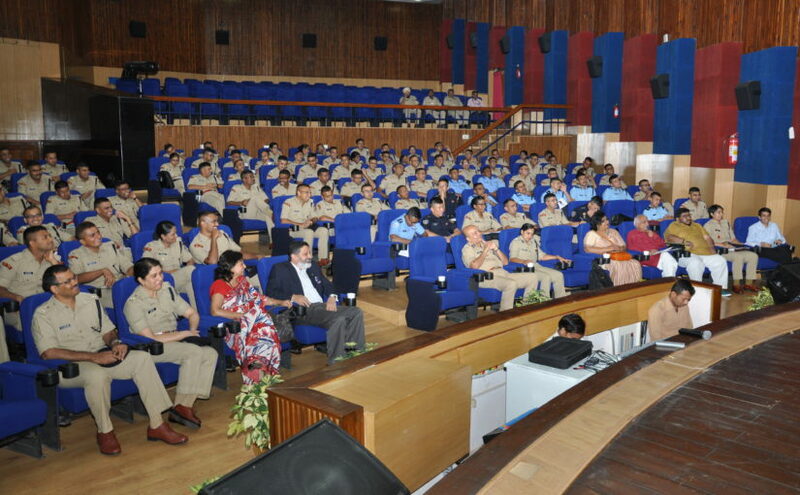 Two day Film festival was organized at NPA in which thought provoking documentaries were shown. Two particular themes emerged as lesson to me which would be beneficial to others too. First, the importance of understanding the truth of other side. The “Silent Poet” was based on the struggle of Irom Sharmila against AFSPA and “The Hunt” about anti naxal operations in Chattisgarh, Jharkhand and Odisha in which innocents tribals were killed by security forces during operation. These two films shown a side of which I in particular and security personnel in general may not agree in entirety. Some may prefer to say that misinformation is being is spread. But as leaders of force we should not fall into the trap of dismissing the truth of other side without any consideration. As being said there are three truths. My truth, your truth and absolute truth which is hidden from everyone. We may not uncover the absolute truth but can make sincere effort to understand the truth of other party. Then only we can move forward. In negotiation there is an important concept of differentiation between “position” and “ interests”. Demand for repeal of AFSPA is a position but the interest is what you want to do after the repeal of AFSPA. We may not be able to concede to position but certainly we can work for fulfillments of the underlying interests. This can be only be achieved when we open our mind to the truth of other party and not reject it out rightly. Doesn’t matter how uncomfortable, despicable is that truth. We must understand that the current problems of naxalism and insurgency in North East has arised from historical socio-economic, cultural, excesses and failure of state at some level. There is some genuineness in there stand. That is why it is of utmost importance to understand the truth of other party. “The Hunt” movie in particular raised the point of differentiating between the naxals fighting against the state and the tribals fighting for preservation of their rights. Both problems cannot be clubbed as same and brand tribals as naxals. This will only strengthen naxals. Second, take away from the film festival was the power of individual action. A Quiet Revolution, Nero’s Guests and Superman of Malegoan emphasized this point. Magsaysay awardee Rajendra Singh through his water conservation efforts changed the lives of many villages. P Sainath through his journalism forced the entire nation to take note of agrarian crisis in the country which was largely ignored by the mainstream media and government. Supermen of Malegoan shows what a bunch of spirited individuals can achieve. If normal people without any government support can achieve so much and can cause so much influence and change then we as the agents of government have more responsibility. It also made me think is my role is limited by my position i.e. IPS. Should I be limited to maintaining law and order only. While preparing for Civil Services the first choice of most aspirants is IAS. Reason for this is the width of work it provides. Influencing various sectors such as employment, health, education, women empowerment etc. But these documentaries made me think do you really need an official position to bring these changes. Individuals in these documentaries have brought much bigger change single handedly. I can be much more than what the description of IPS defines and so you.